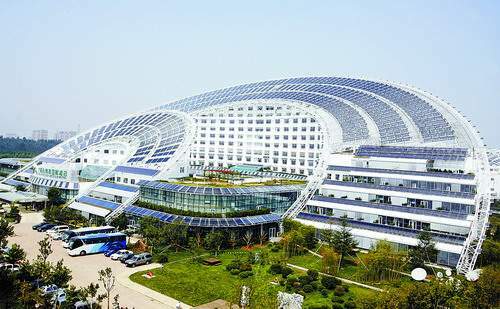 The world’s largest building powered by solar power, is located in Shandong, China. The construction area of this building is 75,000 square meter. The total energy efficiency of this building is up to 88%. Hot water supply, heating, cooling powered by solar energy, and photovoltaic power generation with electric grid are firstly applied in the building in the world.